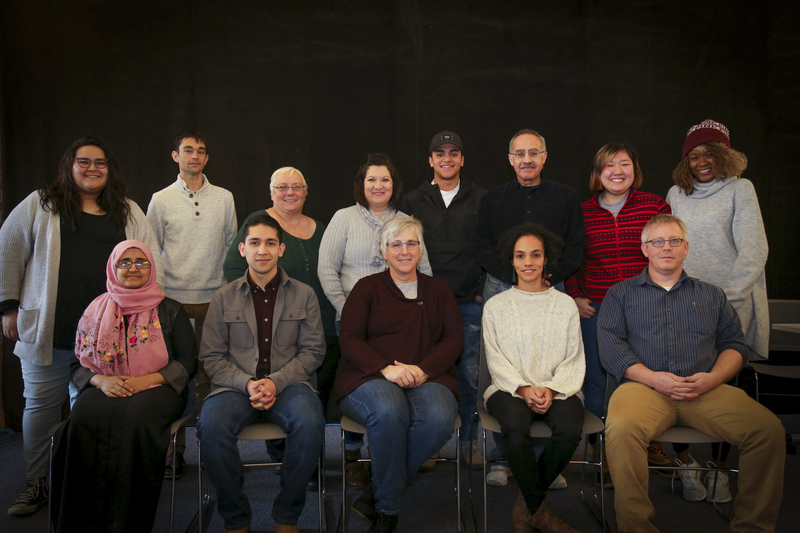 In January 2018, Goshen College President Dr. Rebecca Stoltzfus issued a mandate for the creation of a Task Force to focus on issues of diversity, equity and inclusion within the campus community. Communicate and make visible Goshen College’s ongoing work in the areas of diversity, equity and inclusion. Identify what GC is currently doing to promote an inclusive and equitable campus experience for all members of our community — and how well we are doing so. Propose ways to improve our effectiveness in being a more inclusive and equitable campus, including identification of what new resources and changes should be considered. The Task Force is led and facilitated by two co-chairs, Dominique Burgunder-Johnson and Beth Martin Birky, who were appointed by President Stoltzfus for a two-year commitment. In addition to the two co-chairs, membership of the Task Force consists of 12 students, staff and faculty from across campus. Following a self-nomination and community affirmation process, general Task Force members were selected by the Task Force co-chairs in collaboration with President Stoltzfus and a selection process overseer.